Since January 1990, FDA has received 102 reports of head and body entrapment incidents involving hospital bed side rails. The 68 deaths, 22 injuries, and 12 entrapments without injury occurred in hospitals, long-term care facilities, and private homes. Read this article from the New York Times. Through the bars of an individual side rail. Through the space between split side rails. Between the side rail and mattress. 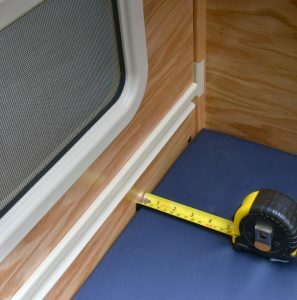 Between the headboard or foot board, side rail, and mattress. All deaths involved entrapment of the head, neck, or thorax, while most injuries involved fractures, cuts, and abrasions to the extremities. Although an entrapment did occur in a patient two years of age, the majority of the deaths and injuries involved elderly patients. Patients at high risk for entrapment include those with pre-existing conditions such as confusion, restlessness, lack of muscle control, or a combination of these factors. Inspect all hospital bed frames, bed side rails, and mattresses as part of a regular maintenance program to identify areas of possible entrapment. Regardless of mattress width, length, and/or depth, alignment of the bed frame, bed side rail, and mattress should leave no gap wide enough to entrap a patient’s head or body. Be aware that gaps can be created by movement or compression of the mattress which may be caused by patient weight, patient movement, or bed position. Be alert to replacement mattresses and bed side rails with dimensions different than the original equipment supplied or specified by the bed frame manufacturer. (4) Not all bed side rails, mattresses, and bed frames are interchangeable. Variation in bed side rail design and thickness and/or density of the mattress may affect the potential for entrapment. When bed side rails and mattresses are purchased separately from the bed frame, check with the manufacturer(s) to make sure the bed side rails, mattress, and bed frame are compatible. Check bed side rails for proper installation using the manufacturer’s instructions to ensure a proper fit (e.g., avoid bowing, ensure proper distance from the headboard and footboard). Additional safety measures should be considered for patients identified as high risk for entrapment. Such patients include those with altered mental status (organic or medication related) or general restlessness. Increased risk also occurs when the patient’s size and/or weight are inappropriate for the bed’s dimensions. Bed side rail protective barriers may be used to close off open spaces in which these patients might accidently become entrapped. Follow the healthcare facility’s procedures and/or manufacturers’ recommendations/specifications for installing and maintaining bed side rail protective barriers for the particular bed frame and bedside rails used. Bed side rails should not be used as a substitute for patient protective restraints. Patients who need a protective restraint, such as a vest or wrist/leg device, must be monitored frequently while wearing it. (5) If a protective restraint is used, follow your facility’s protocol and the restraint manufacturer’s instructions for proper use, in addition to the federal, state, and local regulations regarding the use of protective restraints. FDA is interested in receiving reports concerning problems with hospital bed frames, bed side rails, mattresses, and any other medical device. The Safe Medical Devices Act of 1990 (SMDA) requires hospitals and other user facilities to report deaths, serious illnesses, and injuries associated with the use of medical devices. Healthcare workers should follow the procedures established by their healthcare facility for such mandatory reporting. Practitioners who become aware of any adverse event (i.e., death, serious illness, or injury) that may be related to a medical device product problem or malfunction should report it to their facility’s contact person who is responsible for reporting these events to the FDA. SleepSafe® Beds are registered and listed with the FDA. 1. U.S. Consumer Product Safety Commission, National Injury Information Clearinghouse, January 1994 – July 1995. 2. Great Britain Medical Devices Directorate. “Use of Hospital Bed Safety Sides and Side Rails,” London: Department of Health, January 1994. 4. Roy, D. “Beds and Side Rails: How Safe are They?” Dimensions in Health Service, 67(4):10,14, May 1990. 5. Department of Health and Human Services, Food and Drug Administration Safety Alert “Potential Hazards With Restraint Devices,” July 15, 1992. The 7 Zones of Entrapments as defined by the FDA. To increase safety, the SleepSafe® Bed design has addressed the gaps in all seven zones.